This tremendous novel about what can be torn apart in an instant, and rebuilt over lifetimes, displays writing as scintillating as its plot. 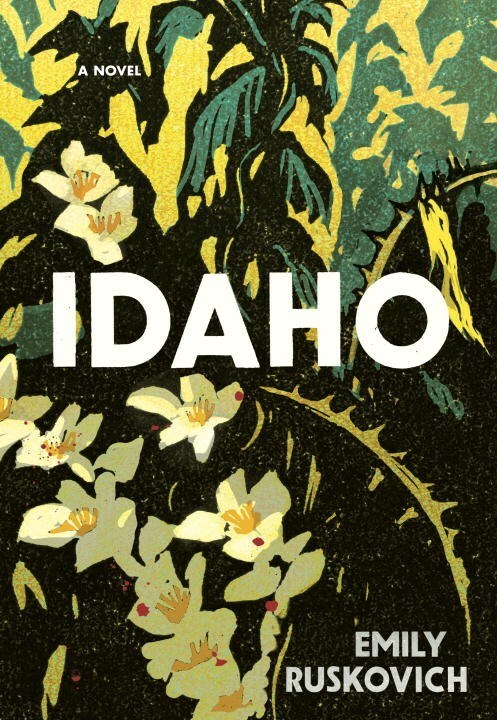 Idaho, the first novel by O. Henry Award winner Emily Ruskovich, is a gorgeously designed immersion into the best and worst of life. In rural Idaho, a jumbled family rearranges itself painfully, trying to live on after a great loss. In 2004, Ann Mitchell surveys the Idaho farmstead she shares with Wade, her husband of eight years. Her recollections introduce the reader to their marriage–troubled by the diminishing strength of Wade’s memory and a terrible tragedy at the beginning of their relationship. She plays the piano; he makes finely crafted knives by hand. They tiptoe around the past. In 2008, a woman studies her new cellmate at the Sage Hill Women’s Correctional Center. Jenny Mitchell doesn’t talk much. Neither of them has much future, with one distant chance at parole between them. Tentatively, they explore friendship, but Jenny doesn’t talk about her marriage to Wade, or her daughters. Then, Idaho flashes back to the 1980s and ’90s, when Wade was still married to Jenny and both of their daughters were still alive. As decades are revealed, Wade’s family lives through happy, tragic and minute experiences. In layers of disjointed chronology and varied perspectives, the reader slowly picks apart the story: Wade’s love for one woman and then another; his luckless family history; the moment in time, the loss of control, that redirected these lives and more. Ruskovich’s prose is exquisite. Music halts “like an animal at a gate, a child at a word it doesn’t know.” Her expressions of love, in its clean and messy incarnations, are singular, and she handles Wade’s mental decline and a child’s piano lesson with equal care and clarity. “On a sunny fall day, she lay next to him on the ground, and as he dozed she felt his old life, his memories, radiate off his skin. She felt everything leave him but her. She shed her own life, too, to match him. They lay there together like a point in time.” That point in time is what Ruskovich does best: sharp, clear moments alongside emotional enormities so great they can only be felt, not explained. This care, detail and realism applies to the novel’s background as well as to its stars. For example, a side plot involving an artist who paints meticulous age-progressions of missing children offers poignancy and attention to detail, and is worthy of its own novel. This review originally ran in the November 18, 2016 issue of Shelf Awareness for the Book Trade. To subscribe, click here.